When it comes to new laws in Nevada, timing is everything. Even though the state is more than 150 years old – the Silver State celebrated its sesquicentennial (150-year anniversary) in 2014  – it still has a very old-timey approach to legislation. In a nod to the Jeffersonian model of a citizen legislature, Nevada’s lawmakers are very much part-time politicos. The Legislature meets in Carson City once every two years, unless the governor calls for a special session. (Nevada is just one of six states out of the nation’s 50 that has a biennial legislature. ) And those biennial sessions are compact, too: they begin on the first Monday in February and run for 120 days. (An historical aside: when the state was founded, the legislature could only convene for 60 days. This was amended in 1958, and in 1998 voters re-instituted a time limit but chose 120 days instead. ). With such a short timeframe, legislators who want to advance a bill must make sure not only that it is thought-out and written by the time the legislative session begins but also that they have done the advocacy, horse-trading, and coalition-building necessary to push the bill through both chambers and across the finish line of the governor’s desk. It’s no easy task! When a legislator has an idea for a new law, the first step is to submit a bill draft request (BDR) to the Legislative Counsel Bureau (LCB). The LCB is made up of lawyers and other experienced staffers who know how to turn a policy concept into a workable law. Lawmakers get a certain number of BDRs per session and have to meet a variety of deadlines as they work their proposal from a BDR to a bill in the first house, then to the second, and on to the governor. 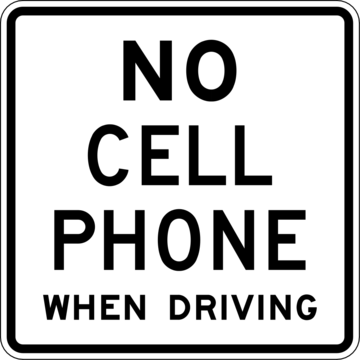 Current Nevada law penalizes the use of cell phones while driving, with certain exceptions for hands-free technology. This became law in Nevada starting on January 1, 2012; the maximum fine for repeated violations is $250. Police officers are authorized to issue traffic citations to drivers involved in a vehicle crash whom they suspect of violating applicable driving laws. The standard of suspicion is that the responding officer must have reasonable and probable grounds to believe that a violation of the law has occurred. Under AB200, that same standard – reasonable and probable belief – would allow a Nevada law enforcement official responding the scene of a vehicle crash to request access to a driver’s cell phone. (Drivers who refuse can lose their driver licenses for up to 90 days.) With the phone in hand, the officer could then use an “investigative technology device” to scan the device for usage during a given time period. Obviously the time period in question would be that period of time shortly before the crash occurred. With this information established, the officer would have a much easier time determining whether the driver’s cell phone might have been in use while driving. Nonetheless, there are reasons to question whether AB 200 strikes the right policy balance. How would this law impact the increasingly fraught subject of police-civilian interactions? If officers can compel drivers to unlock their phones, what consequences does that have for constitutional protections against search and seizure? What if officers find, in plain sight, evidence of other criminal activity while using the phone to determine whether it was used during driving? Does equipping officers with this power create new opportunities for misconduct? These concerns are speculative, but there are some potential practical problems with this law as well. The goal is to determine whether a mobile device was used in the moments before the crash. Most people are poor judges of the passage of time, and with the adrenaline and shock accompanying a motor vehicle crash, many drivers are probably going to be unable to say when the crash occurred with any greater precision than 10- or 20-minute blocks of time. Both drivers are likely to grab their phones immediately after the crash to call for help or take video of the accident. Thus, this law may create a kind of false certainty about whether a device was used while driving (rather than immediately after the crash). It is also unclear whether the officers’ investigative devices will be able to distinguish hands-free from hands-on phone use. We will monitor this legislation as it moves forward – it seems like an important part of the ongoing effort to make Nevada’s roads safer for all of us. Pit Bull Attacks may Need Pit Bull Lawyers! Clark County Stats don’t tell the whole story.